Kickstarter is an awesome way of getting a project funded, but who knew that it would only take six days for Mike Schwartz’s project Oceanverse to be fully funded. 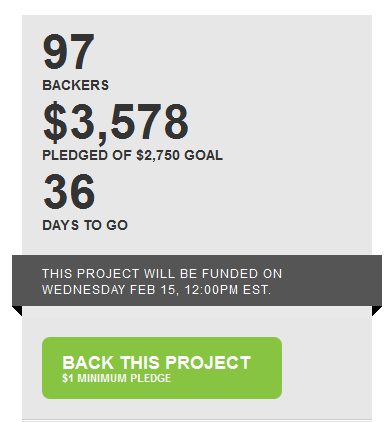 With thirty six days to go, the project is now over funded making this the fastest project funding I have seen yet. This goes to show the power of Kickstarter with an awesome comic book writer and the ability to crowd source funding for something that will end up being very cool. Comics Forge donated to this project so it is with a lot of happiness that this project is good to go. Mike posted an update today that says it best, so please read on. I apologize for not posting earlier. I have to say I was caught up and taken aback by the deluge of pledges. I never imagined that I would meet my goal in six days. To that I say thank you so much. I was ready to be on edge for a month and a half, driving my wife crazy checking my total 58 times a day. Now, I can rest a BIT easier. Thanks to the “Staff Pick” status and frequent appearances on the homepage, 43% of pledges have come from Kickstarter visitors alone. That is totally crazy. Such an X factor is reason alone to suggest Kickstarter to anyone considering an artistic endeavor. And we are not done yet. I can’t stress enough that this is the best way to obtain a copy of the book. I am looking into ways to sell Oceanverse: The Collected Edition in the future, but for now, if you want a book, please make a pledge. As far as the book, I am looking over the art and sketching the layout. I’ve also had a few preview prints made of the 11″x17″ print. I was considering sending the art out to on online printer, but my wife found a printer nearby and they look great. Fantastic paper, too. The art table is rearing to go. I’m thinking I can start drawing the new art by next week. Ok, that’s all for now. Again, thank you so much for backing my project. It means the world to me. Well done! I can’t imagine that it would have only taken six days to go to full funding, but then there are you are, well done and our thanks to everyone who donated because we know this will be an awesome project.